IN 1973 Iggy and the Stooges – Iggy Pop, James Williamson, and brothers Ron and Scott Asheton – released Raw Power; a seminal rock album that stunned audiences of the day and introduced the music world to the first spewings of punk. 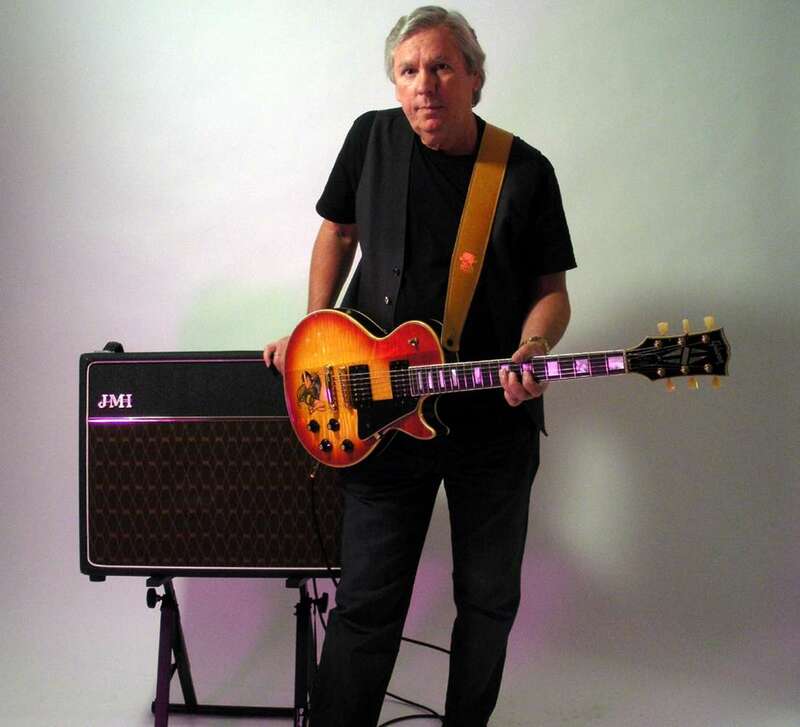 After the band fell apart in 1974, guitarist Williamson left music behind and had a successful career in the electronics and software industries, before rejoining the band in 2009. In 2010 the band were inducted into the Rock and Roll Hall of Fame, and released their latest record Ready to Die last year. Williamson’s new project involves re-workings of songs from the Raw Power era; a collection which will be released as an album entitled Re-Licked. Why did you decide to re-visit these songs? You know, it was a series of things. I’ve always kind of wanted to hear those songs recorded properly. Back in the day we thought when we wrote them that they would be on a studio album, and we toured with them. Then we changed management, and unfortunately we didn’t get the option for another record from Columbia Records after Raw Power, so all that existed of those songs was the bootlegs for all these years. I started out wanting to find a female vocalist, as I thought ‘Open Up And Bleed’ would really be good for someone who sang kind of like Janis Joplin, and so I looked and looked and a friend of mine in Austin, Texas sent me a link to Carolyn Wonderland singing, and I just said ‘that’s my girl’. I got in touch with her, and she was totally cool; didn’t know me from anybody, but was totally cool to record it. That’s the first single [and is] coming out on Record Store Day on the 19th of April. I was pretty inspired to go on and continue doing them, and I’m so glad I did as all these singers have stepped up and done a fantastic job. Really, I think you’re going to be pretty amazed at some of these performances. What other singers do you have on there and how did you come to work with them? The next single is with a girl called Lisa Kekaula of The BellRays; she just completely rocks on ‘I Gotta Right’ and ‘Heavy Liquid’. That’ll come out around June-ish. I’ve got Ariel Pink on ‘She Creatures From The Hollywood Hills’, Jello Biafra on ‘Head On’, Bobby Gillespie of Primal Scream is going to do ‘Scene Of The Crime’, Jim Reid from The Jesus and Mary Chain, Mark Lanegan, Alison Mosshart and on and on. There’s thirteen of them altogether; it’s a real showcase for singers, if you will, and a tribute to our song-writing. Did you originally want Iggy to sing on the album? Well, you know, initially I did. Initially he and I discussed it as a possible album instead of the last one that we did. We decided against it because of the obvious comparisons between the young Stooges and the old Stooges, and so it just didn’t seem like a good idea to get bogged down in all these comparisons. I feel like we made a good album with Ready To Die, but I still had it on my bucket list to do these songs properly, and so the obvious way for me to avoid the comparisons was to have a fresh look at them, re-arrange the songs and bring in other singers. Then it becomes a tribute to the song-writing, rather than an attempt to compete with your younger self. What makes Raw Power so damn good? I think it’s the song-writing; pure and simple. Those songs – and God knows, they’ve been mishandled in every way possible by many different people – still sound good, even if the mix is crap or whatever. It just doesn’t matter. The song-writing is the most essential ingredient, but also the playing was ground-breaking. That was my first album, so I didn’t know anything about the studio and had to defer to Iggy. Iggy’s not the most technical person in the world, and he’s a very creative guy and wants to push the envelope, but sometimes in the studio that’s not a good idea. With that record we made the engineer do a lot of things he probably shouldn’t have done, and there were some technical problems; the bass was like mush and the drum track was almost non-existent. Given what Bowie had to work with, he did a pretty good job, albeit a little bit arty. Anyway, he made me sound great, and I’ve got to be thankful for that [laughs]. For an album which is essentially guitar and vocals, it’s pretty good. Jack White has made an entire career out of it. How did you feel when people said Iggy and the Stooges couldn’t play properly or weren’t real musicians? Well, I think we proved them wrong. History will probably show that we were good musicians, and we were also very creative and willing to take chances, and not just try to to imitate what was popular at the time. God knows, when we made Raw Power, they were still tying yellow ribbons around the old oak tree, you know? That was the popular music at the time. We pushed the envelope, and although it didn’t do us any good career-wise until much much later, we were successful; it just took a really long time. There seems to be so much of the Vietnam War in Raw Power. Was that a major influence on the recording? Yes. No doubt about it. Certainly the riffs from ‘Search and Destroy’. The genesis of that was me in the rehearsal room screwing around with the guys, playing ‘machine gun’ on the guitar. They kind of liked that, and that’s how that song started. There was a little bit of influence on our playing, but there was a ton of influence on Iggy’s lyrics. He’s a very topical writer; if you look at any of his stuff, it’s stuff that’s in the newspaper at the time. That’s the way he writes. Any chance of a trip to Australia any time soon? I’ve been asked that question a lot and I’d absolutely love to do it. The thing is trying to organise thirteen singers to show up anywhere is daunting, never mind get them all to Australia. It’d be a challenge, but I’m up for it, and if we can find a promoter to step up and do that, I’d love to. I love Australia; I’ve been there a couple of times now. The Stooges aren’t touring this year, but when we do start touring again, Australia is certainly a viable venue for us. Do you think you’ll ever retire from music, like you have done from your electronics career? I’m sure I will, but before I do I’d like to work on a different type of music. Because I was out of music for so long I’ve got a lot of music still in me, and that’s part of what doing this new album is about. The stuff has a fresh new look and sound to it, and I feel good about that. How long more The Stooges go on; I don’t know. There’s not many of us left, for one thing. What I do on-stage is just stand there and play, and assuming I don’t get arthritis or something and can’t play – like Keith Richards or someone like that – I can do it for a long time. But Iggy; he’s 66. When we go back out again he’ll be 67, 68. How many guys are going to stage dive at that point? If anybody will, he will, but I’m just saying, you know? JAMES WILLIAMSON AND CAROLYN WONDERLAND’s NEW LIMITED VINYL SINGLE ‘OPEN UP AND BLEED’/’GIMME SOME SKIN’ WILL BE AVAILABLE AT INDEPENDENT RECORD STORES WORLDWIDE ON RECORD STORE DAY, APRIL 19TH 2014.